While researching for my last post, I opened a file I had not touched in a while. It contained several drafts and assignments for a travel writing paper I had completed through a New Zealand university. I opened each in turn, quite pleased at the diligent student I had been. But something intrigued me about one assignment in particular. It was about me travelling on a train down the Main Trunk Line (New Zealand), at a time when trains and train travel were going through serious change. I rather liked this draft (which I had forgotten writing!) and pulled up a second version of this story, which I wrote after the course was through. I am unsure whether my second attempt at the train story was an improvement on that first draft but I shall leave that up to my readers. The original draft surprised me; within the story I had written about my father and the links with his bookstall. I could see that I had begun writing the story of Jack McPhee, long before I realized. I love catching trains. For years I rode the line in the Hutt Valley, between Silverstream and Naenae Station. Diesel trains ran until the line was electrified in the mid 1950s. 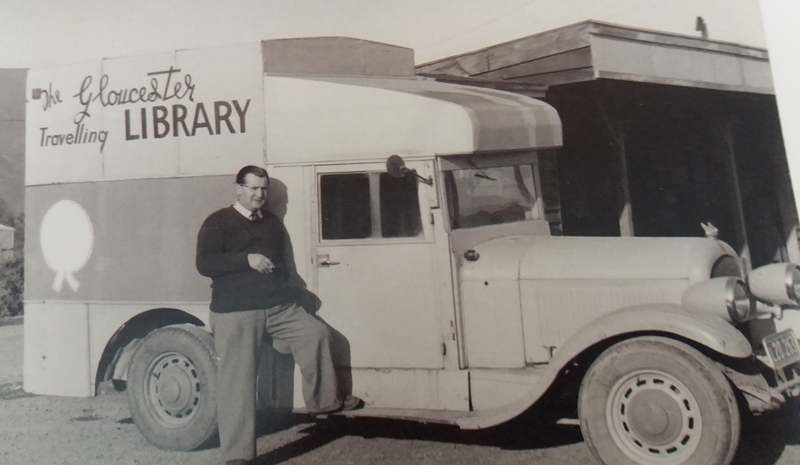 My father ran a bookstall there during this time, but come the 1960s when he had a new job and I had started Art School, Dad and I rode The Unit from Silverstream to Wellington daily. I live in Auckland now but because of living ‘over the bridge’ and the lack of trains as public transport, I hadn’t ridden a train in New Zealand for some years. But that was about to change. I was set to book a seat on the Overlander, which had been rescued temporarily from imminent demise. We would be travelling down the Main Trunk Line. I first travelled the line aged eleven on an overnighter-train; when you could rent pillows for a shilling and jump off for supper at Palmerston North just a couple of hours north from Wellington. I have never forgotten the thrill of watching out for the Raurimu Spiral and the Mangaweka Viaduct (albeit in the dark) and even though I’ve travelled many trains in many countries since, that feeling of awe travelling the (then) famous railway has remained inside me. I reached for the phone. “Our hours are…electronic ticketing is a preferred option, our website is…www.tranzscenic.co.nz…” And then Tom Jones was belting ‘The Green, Green Grass of Home’ in my ear hole. “Oh.” With visions of Japan’s sleek Shinkansen’s (the last train I had taken), with laminated flooring, comfortable seats and rolling café service I went ‘online’. The Overlander Reservation: Auckland to Palmerston North – Palmerston North to Auckland. The days were correct, the times appeared to be too…but where did one embark? Check ticket and Web information; not a whiff of it. Okay. Try calling Tranz Scenic again. That’s all right Tom, I can hold. I think I got to a real person by pushing 9. “Great.” I had thought of asking how visitors to New Zealand would discover this vital piece of information, when I realised the staff member had gone. I wasn’t too bothered by the news, for even though I expected hostess service (as there had been on the Overlander in the ‘80’s) I was used to café cars on trains in France, and what if I was last seat in the back? The sun danced on the Waitemata and the views across to Rangitoto were dazzling. I was inside my head again, flipping over the associations with the railway and my past, when a woman opposite interrupted my private reverie (she was on her cell phone). “I’m on the train (so she’s not calling the boyfriend) heading to Hamilton. I’ve just realised I’ve left documents back in the office (not a competent person). Can you courier these asap? (ah, she’s the boss?) … ‘Cause I had to book the Volvo in for its 30,000km check. Right. Cheers.” So, not a train fan. I tried to get a good look at her but she was head down texting. Only the most skilled could balance coffee à la cardboard in one hand while stooping like Quasimodo for the carriage handle in the other, although the whip-lash action of the semi-covered coupling between the carriages was a good place to practise surf-board skills (if only I needed them). I made it to the café car and was about to speak when the female assistant nasally announced, “Excuse me madam, but it’s time for safety announcements, I’ll be with you in a minute.” (Let’s make that seven). A man in shorts ordered a plate of French toast and I was pleased I’d gone for the cling-wrapped sandwich. Once again, I settled back to enjoy the view; gorgeous rolling green hills, pasture and sheep, the New Zealand interior I knew and loved. And then there were the mountains, oh yes, Ngauruhoe, Ruapehu, Tongariro, towering majestically behind National Park railway station. I couldn’t wait to get off, stretch my legs, and soak in their white-caped beauty. Weeds grew thick and high beneath the grandly peeling station sign. Under the words National Park, I could just make out the slogan ‘Where Adventure Begins’. I looked up to see a deserted road leading to the hills, a perfect example of one-point perspective and remembered my only skiing experience on Ruapehu. If I said, the best part of the weekend was taking my humiliation home you’d probably guess I never managed the art of making two skis follow one direction. But today I wasn’t looking for adventure. I swung the station café door open and found half the world there, or to be more precise TWO train-loads of passengers from the Main Trunk Line! While I was occupied (in the very popular unisex loo) the Auckland-bound train had pulled up beside the south-bound one, for National Park Station obviously was, a ‘have-to-stop-at-all-costs’ phenomenon. The café was buzzing, not a ‘railway cup’ in sight. For I had entered a super-duper, up-to-the-minute, could have been anywhere in Ponsonby kind of café. I couldn’t face the queue that wound like a snake around the counter and out another door, so I pulled my hood round my ears and headed outside. I spent several windswept minutes watching a brown and white terrier scamper around the crumbling asphalt before looking across the yard to where a middle-aged, round-tummied man in brown baggy trousers stood. My head spun. This man could be my father; he even had his hair slicked back like him. I have one photo of Dad standing in the rail yards alongside his bookstall; a cigarette in one hand, a pencil behind his ear and a grin, all three things he was famous for. “Wheeeeeeeeeeee wheeeeeeeeeeeeee… Come here boy!” The man whistled with his fingers to his mouth in the way farmers did. And the terrier fairly flew from the platform and down to his master. I scanned the yard as we pulled out from the station. I might not catch sight of Dad again, but I couldn’t wait to travel around the Raurimu Spiral, or watch the river gushing below in the Mangaweka Gorge. And I was sure to catch up with other old friends, old haunts and other buried memories further down the line. Draft Two, shall be posted next week, and you can tell me which you prefer. This entry was posted in history, non fiction, travel, Writing and tagged memory, trains experience opinion by viviennelingard. Bookmark the permalink. I preferred the first one – especially the pic of the old red “rattletrap”! I remember them well from my years of commuting g to Wellington Girls. Standing outside and chatting up The Wellington Boys lol!! !